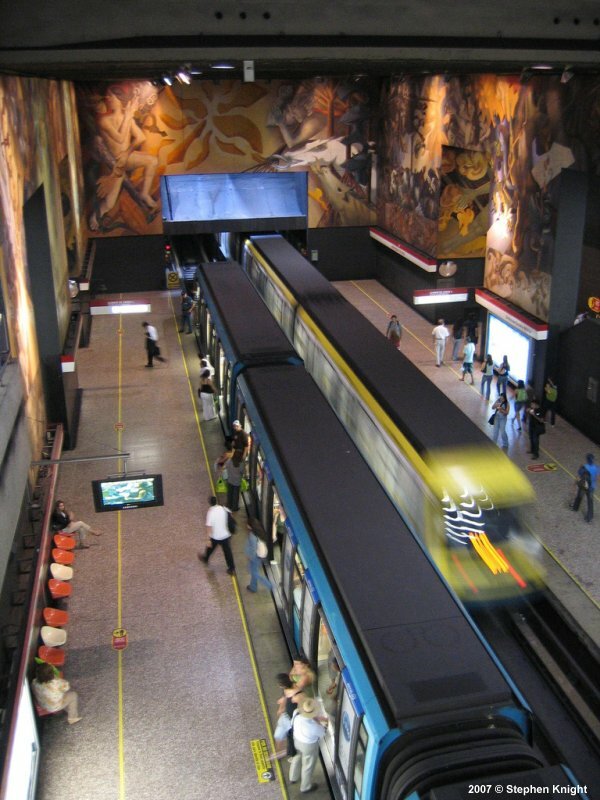 Gran Santiago, the metropolitan area of the Chilean capital, has 6.1 million inhabitants. 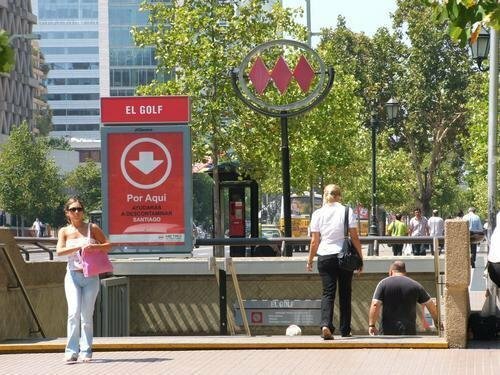 The city lies 110 km from the Pacific Ocean (Valparaíso). 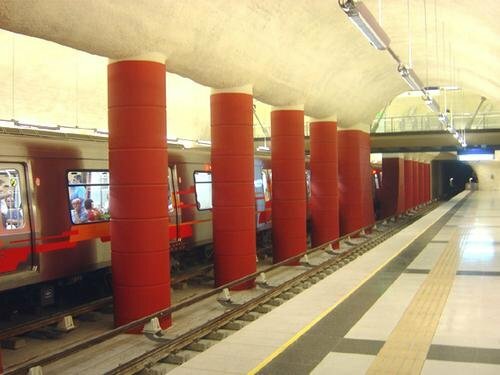 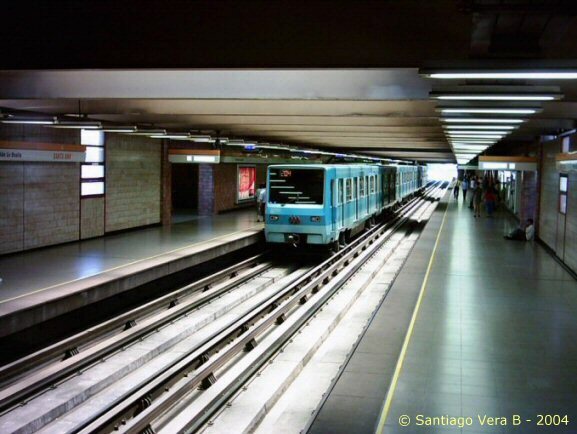 In 1968 the decision was taken to build a rubber-tyred metro system with 5 lines and totalling 60 km. 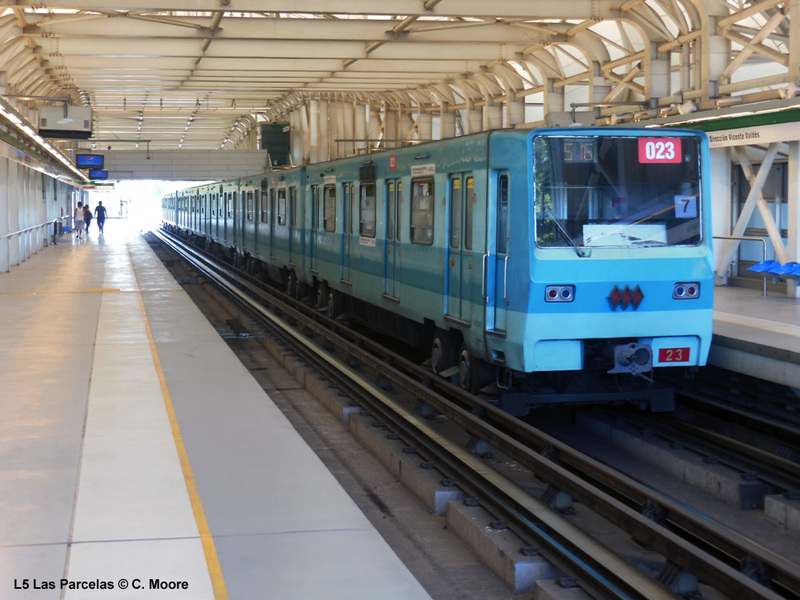 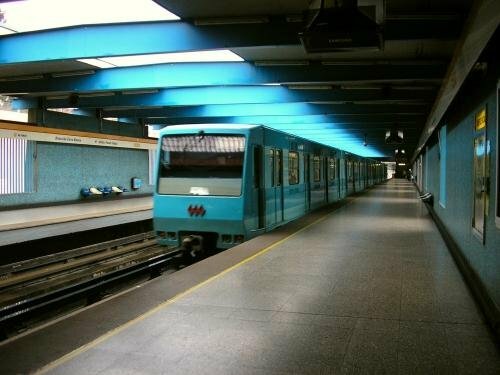 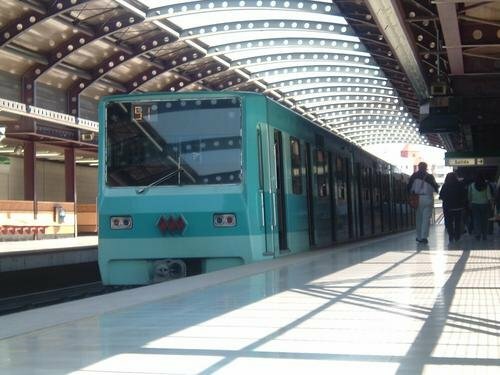 CAF has supplied and maintains 115 cars for Line 3 and 70 for Line 6. 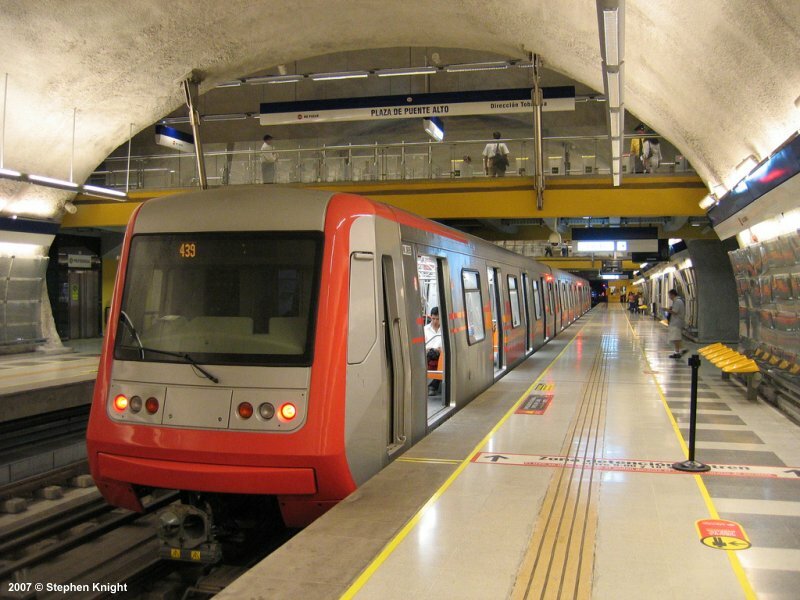 They are equipped with CBTC provided by Thales for driverless operation. 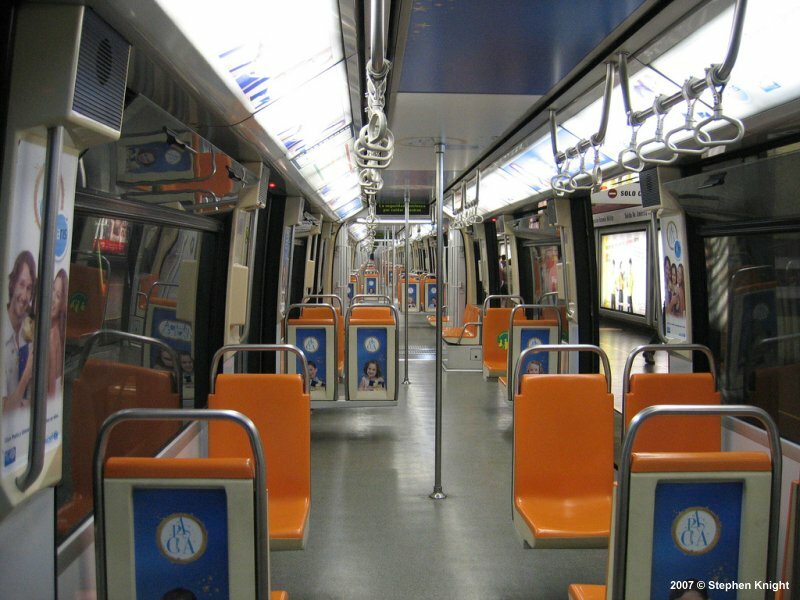 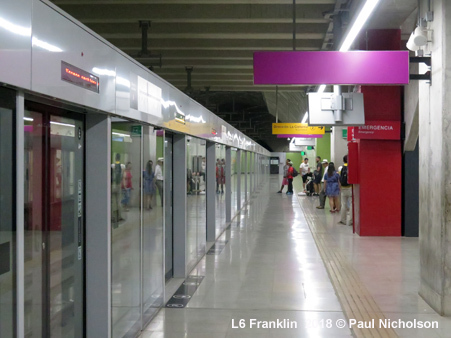 A second east-west line, L7, has also been announced. 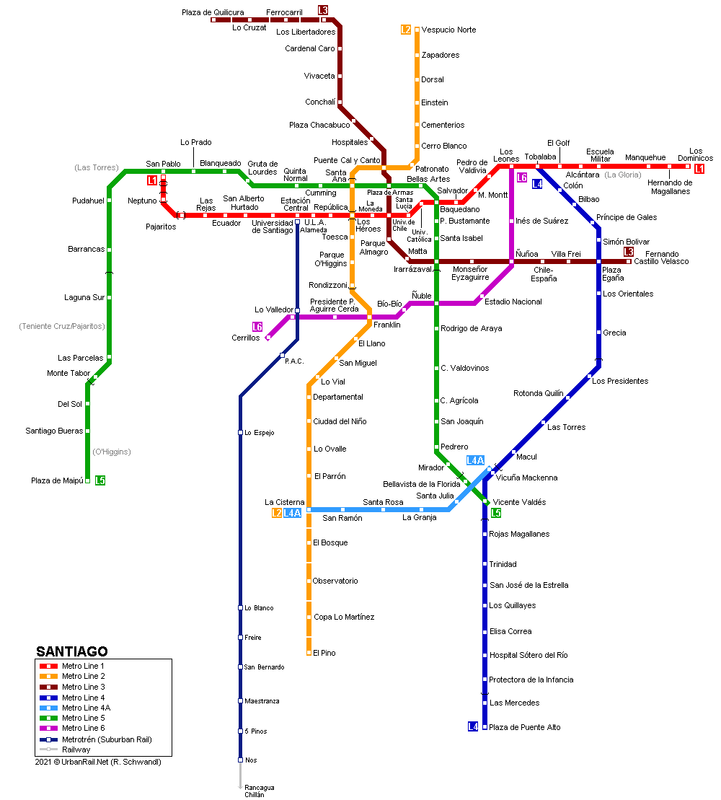 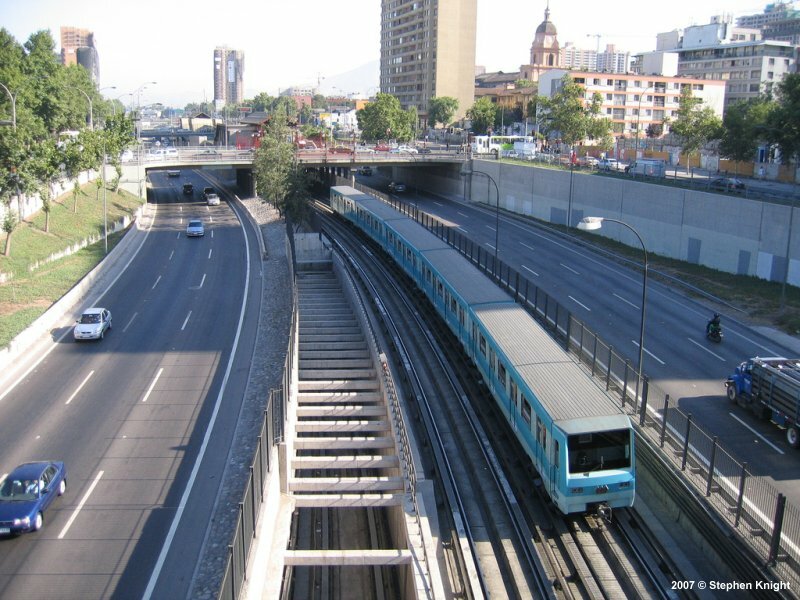 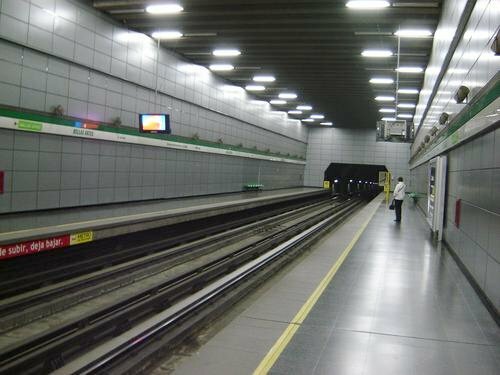 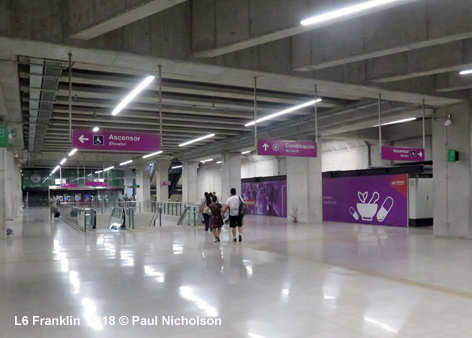 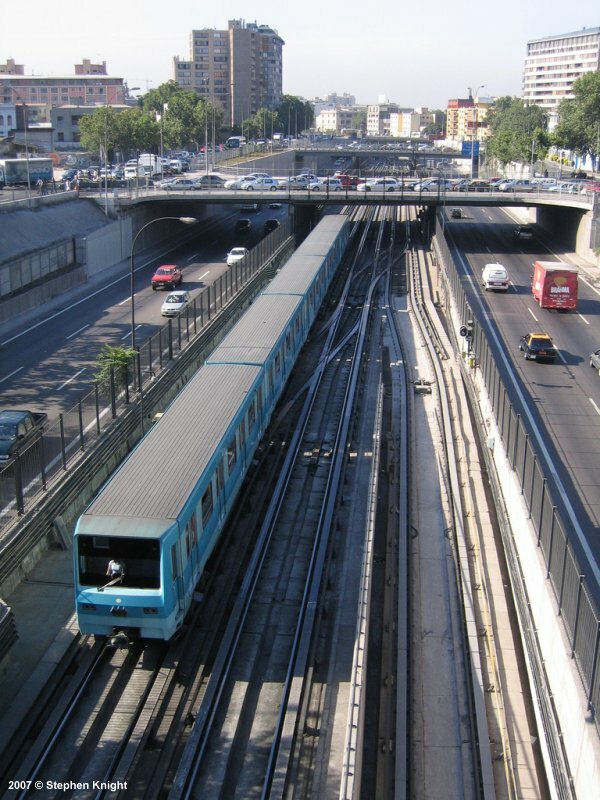 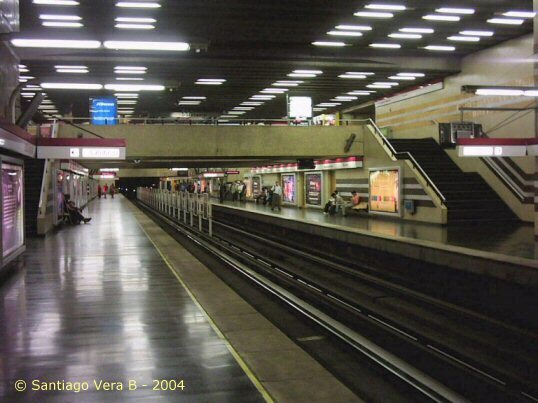 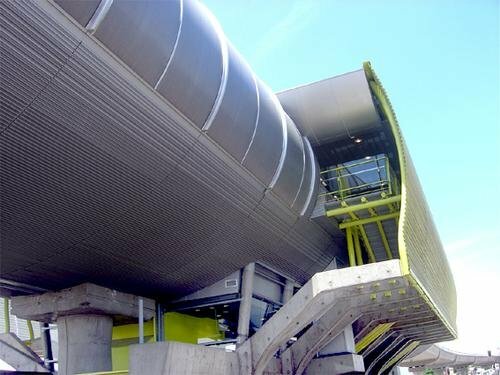 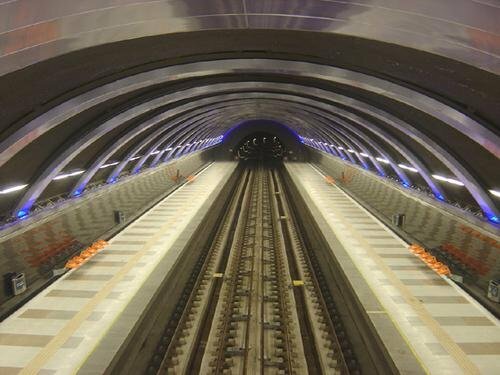 It will run parallel to L1 through the northern parts of the city, providing interchange with other lines at Puente Cal y Canto (L2, L3), Baquedano (L1, L5) and Salvador (L1). 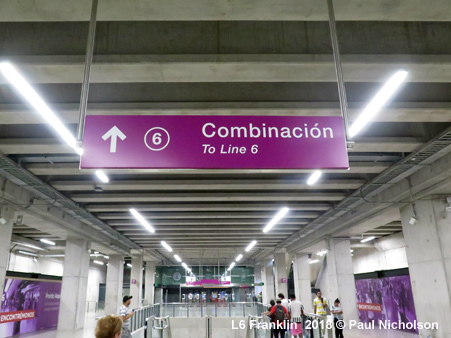 Plans for lines 8 and 9 have been revealed. 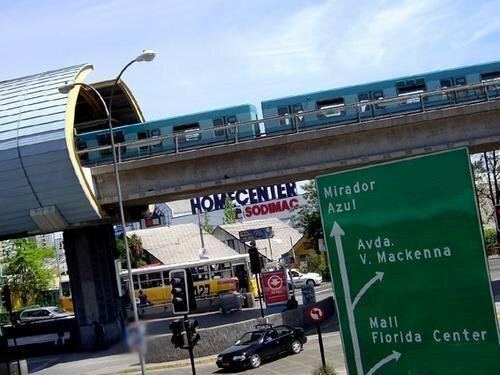 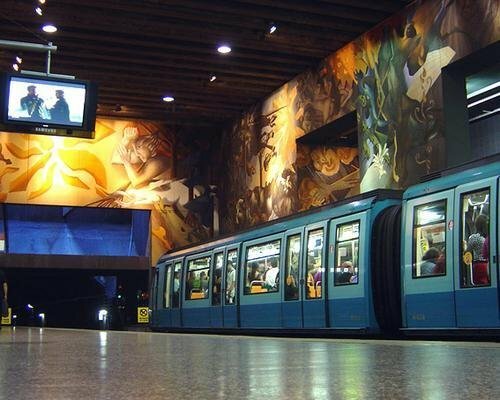 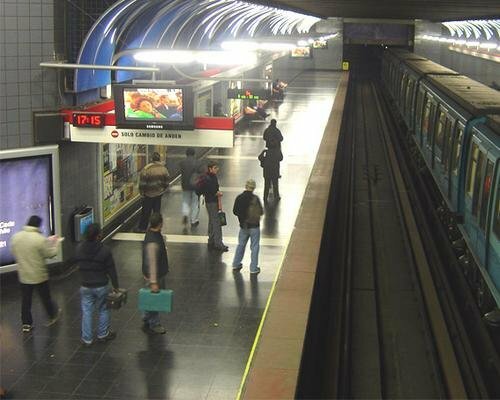 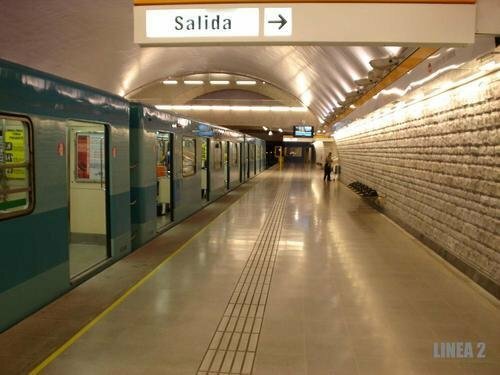 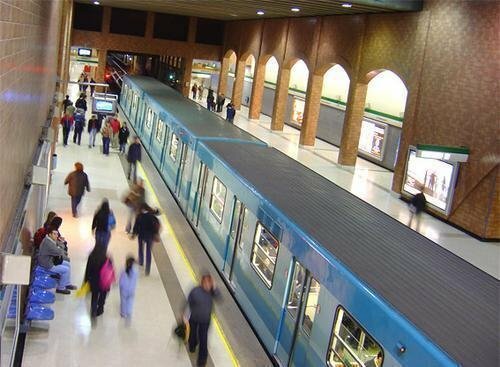 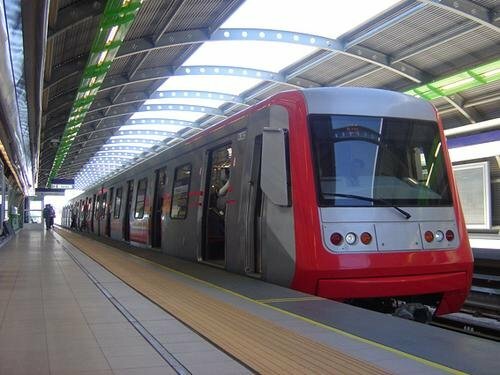 A fully integrated S-Bahn service was launched on 17 March 2017 on the upgraded section of the railway line to Rancagua and Chillán, providing a dense suburban service within the metropolitan area, from Estación Central (Alameda) to Nos. 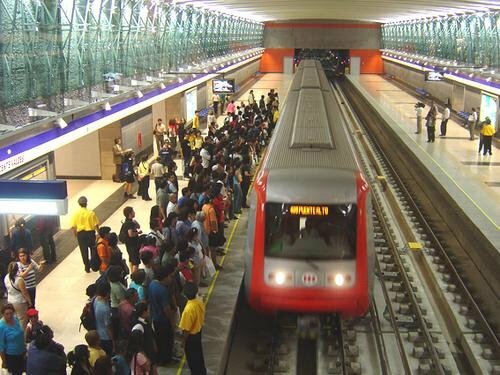 Trains run every 6 min during peak hours and every 10 minutes off-peak, with a journey time of 24 minutes.